“Writing and Censorship” was the first session I attended at this year’s Melbourne Writers Festival. Hosted by Arnold Zable, renowned author, human rights advocate and President of International Pen Melbourne, the session featured four writers, including one invisible – an empty chair was placed on stage to represent a Kurdish journalist on Manus Island who is likely to be deported back to Iran as a result of Australia’s harsh treatment of asylum seekers. Three writers were present – Miguel Syjuco (Philippines), Nuein Way (Myanmar) and Sheng Keyi (China). What struck me the most as a reader, when I sat at the front row to observe them, was how these writers presented themselves. While Syjuco stared at each and every member of the audience with a look of defiance on his face that demanded full attention, Way, immersed in his own notes, was completely oblivious of what went on around him. Sheng, meanwhile, appeared to be “measuring” the Australian men and women in front of her. The constantly murmuring interpreter by her side seemed unable to disturb her reflections on what (not) to say there and then. Censorship is a serious issue. While Syjuco confronts it with much angry cursing and accusation, Way escapes through poetry, using “I Love You” as the password to his inner sanctum of truth and beauty. What interests me the most is Sheng, who is widely praised as one of contemporary China’s most brilliant writers and whose first five books are well regarded both within and outside of that country. For her sixth and latest book, Death Fugue (2014), she chose a highly censorable topic – the infamous 1989 crackdown in Tiananmen Square – and published it in Taiwan, Hong Kong and (through translation) Australia. Such decision to bypass China’s mainstream market while still living and enjoying literary fame there is certainly unusual for a Chinese writer. Indeed, most Chinese writers celebrated in the West tackle the dark side of Chinese people, history and culture only after they have left China. Sheng described censorship as a sort of empty chair, a phantom that cannot be seen but is always there, haunting you. In the two years since she last attended the Melbourne Writers Festival, so many public intellectuals and human rights lawyers were “disappeared”, “invited to have tea” (i.e. interrogated by police) and/or “volunteered to confess their crimes on TV” that Chinese people have given up having any type of discussion or debate in public. “If free speech is green grass, then most of China is now covered in concrete,” she said. From Sheng’s point of view, however, a fiercely censored environment could be seen as a test to writers and their literary skills. Because a writer’s job is to have his/her voice heard, an increasingly shrinking intellectual and spiritual space could be just big enough to challenge their imagination. Sheng said she did not set out for Death Fugue to be a political novel. In her words, she just wanted to pay tribute to the good old days “when people could still freely write or sing”. Indeed, in today’s China people have to learn English and “climb walls” in order to understand what is happening in their own country. Under such circumstances, according to Sheng, perhaps “some writers are born mirrors while others are like doctors or healers”. 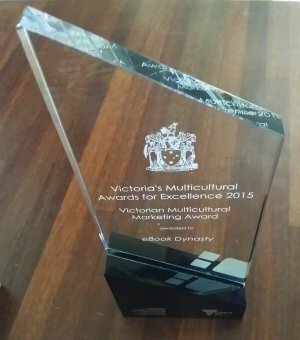 Perhaps writers can remain “in the middle” instead of becoming involved in or staying far away from politics. I should point out here that “Writing and Censorship” was an excellent session, except for one serious problem — the interpreter. While I am fortunate enough to be able to comprehend Sheng’s talk in her own language, I cringed constantly while listening to the increasingly broken English interpretation provided on stage by the inexperienced interpreter. Particularly near the end, when Sheng asserted that a writer’s job is “to offend, and Death Fugue was not published in China because it offended some people”, the interpreter reached his limits and turned Sheng’s words from “to OFFEND” to “to DEFEND”. Alas, the session ended while I was still sitting there in shock. 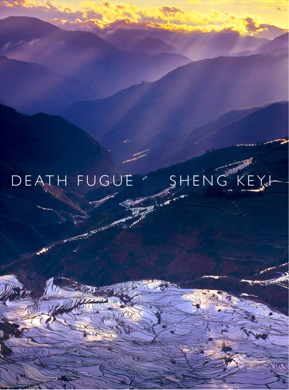 Here is a great review of Sheng Keyi’s Death Fugue by renowned China expert Nicholas Jose.